The path to wellness is a journey that begins like any other, taking that first step. Nigel will be your guide through this journey and support you through the process. 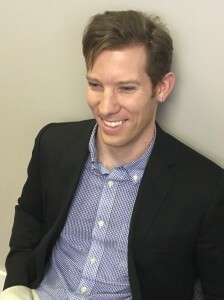 With special interests in stress & anxiety, and in acne & anti aging treatments; Nigel will use his knowledge and skills to harness your body’s own healing potential and create positive change. Todays society is so busy that we hardly find the time to focus on our own health and wellbeing. We have bills to pay, mouths to feed, and the odd time, things that need repairing. Don’t forget that your body is the greatest investment of all; and as such, deserves the utmost care and respect. Fixing your engine in your car is easy, and you can always get a new car, but you only get one body, and some of its parts aren’t so easy to fix. Acupuncture is a great tool to use for internal pathologies, but best used as a preventative modality to keep the body healthy and avoid disease altogether. Our body usually isn’t the only thing in need of healing, our mental and emotional selves usually suffer along with our physical pain, and can even create physical ailments. Chinese medicine acts on all levels, healing body, mind and spirit; and creating harmonious balance that ripples out and enriches our daily lives. It’s not all about needling either; there are other techniques that can be used to facilitate healing. Not only that, but we can take a look at diet & nutrition, lifestyle, sleep patterns, and other areas of your life that may be attributing to the underlying pathology. When Nigel is not busy at the clinic helping patients, he is spending time with his significant other and their dog Nero; he’s spending time with friends; enjoying movies; practicing Kung Fu; running; and writing fiction. Nigel, our licensed acupuncturist, will welcome you and go over an intake form with you when you arrive. You can also find this form on our website if you’d prefer to fill it out prior to your appointment. Nigel will discuss your health history with you to better meet your needs. You’ll receive some reading material to learn more about what we do. Nigel starts by palpating the area you’re having problems with. You’ll be able to ask any questions before we begin. This first visit will take about 90 minutes including paperwork and a full treatment session. On your next visits, you’ll meet Nigel to discuss how you’ve been feeling. Then, you’ll have a regular treatment session lasting about one hour. We find that our patients see great relief within the first three visits. 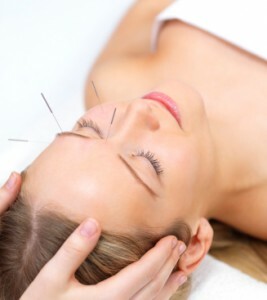 Acupuncture is not painful and there is very little discomfort involved. If you do feel anything, it will feel similar to a mosquito bite. In places where you have a lot of tension it may be more uncomfortable, but it should not be painful.